Washington State University is partnering with WageWorks® to provide a pre-tax benefit account used to pay for public transit and parking expenses—including train, subway, bus, ferry, eligible vanpool—and qualified parking as part of your daily commute to work. WSU recognizes that our employees live and work all over the state and country. 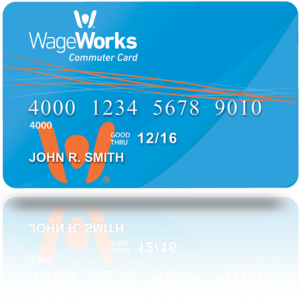 For those employees who live in the U.S. and currently have to pay for their commuting costs, you will have the option to do so on a pre-tax basis through the WageWorks Commuter program. If you already pay for your parking pass from WSU on a pre-tax basis this plan is NOT for you. You’ll be able to start utilizing this benefit to purchase your transit passes, pay your parking garage directly, or set aside money into your account on a pre-tax basis. You can sign up at any time! No need to wait for open enrollment. There are many ways to use this account, so you can choose which ever way works best for you! If you are using this account to pay for your commuter costs, such as bus, train, lightrail, subway, ferry, and eligible vanpool you have many different options on how to utilize the benefit, so you can choose which works best for you! The current pre-tax deduction limit for these plans is $260 per month for commuter transit benefits and $260 per month for parking benefits. If $260 does not cover your monthly costs you can also elect to contribute on a post-tax basis. WSU is offering this benefit as well for the convenience of our employees. So, if your parking garage costs $305 per month, you can elect to have $260 taken pre-tax and $45 taken post-tax so that you can pay your non-WSU parking provider through WageWorks’ convenient portal. For additional information please contact Human Resource Services. Email at hrs@wsu.edu or call (509) 335-4521. For a preview of how the transit plans work, take a minute to watch the video below or check out WageWorks to learn more. Please review the resources below to verify that you are not already able to purchase your parking pass on a pre-tax basis directly from your WSU Transportation or Parking office or that you are not already able to ride your local transit at no charge with your WSU Faculty/Staff ID.